There is a reason that she got this name and it fits perfectly. Pure Magnificence has had it going on from the “get go”. 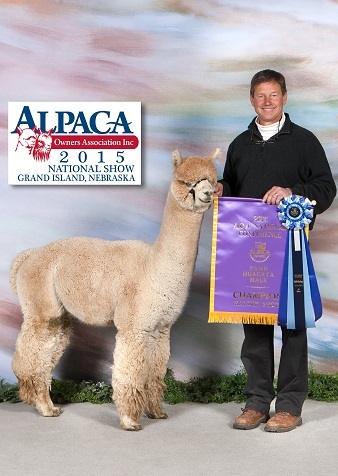 Her “stop you in your tracks” good looks are only rivaled by her “elite” fleece. With her exemplary staple development, Pure Magnificence is obviously very dense and a quick look reveals her advanced fineness as well. We could continue with the written word here but it is best if you just come look for yourself. You won’t be disappointed. 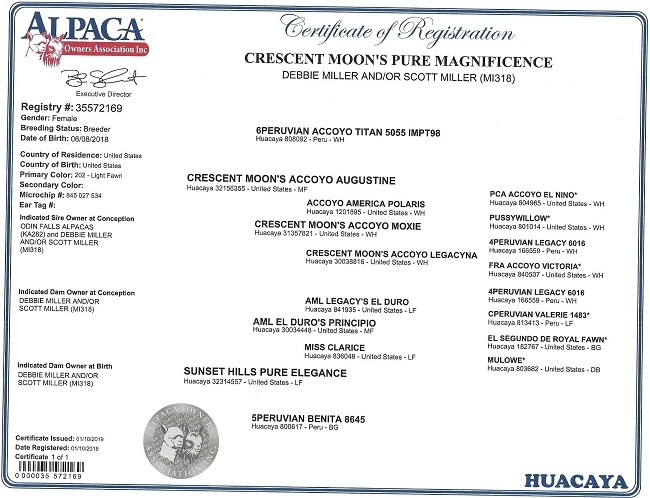 The first breeding for Pure Magnificence will be handled at Crescent Moon Ranch. Let’s talk about that because she serves up some interesting options. Pure Magnificence’s breeding is non transferable.